The earlier of the two papers, the Union, was first published by George A. Parlin, a job printer in Machias, Maine. His grandson, Earle C. Parlin, would later take over the paper in the early 1900s. Grandfather Parlin was notable in a long line of Parlins in the newspaper business in Machias. Succeeding him as owner of the Union in 1899 was William R. Pattangall, chief justice of Maine as well as Union editor and owener, when young Earle Parlin, a Machias High School graduate in 1906, went to work for the judge on the Union. The Republican was founded in 1856. Reorganizations and mergers continued through the decades. Teague Publishing Co. put out the Union-Republican from 1924-1930. The Addison Observer was absorbed in 1932. Parlin had started another weekly in 1930, the Machias Valley News. Its first editor was Elmer S. Ingalls. A five-column tabloid printed on offset book stock, its first editorial read "This paper is not being published with the intention of competing with anyone ... We shall cater to communities interested in the development of Washington County's resources, and to citizens who have at heart the civic betterment of the Machias Valley." A subscription for one year cost $1.00. 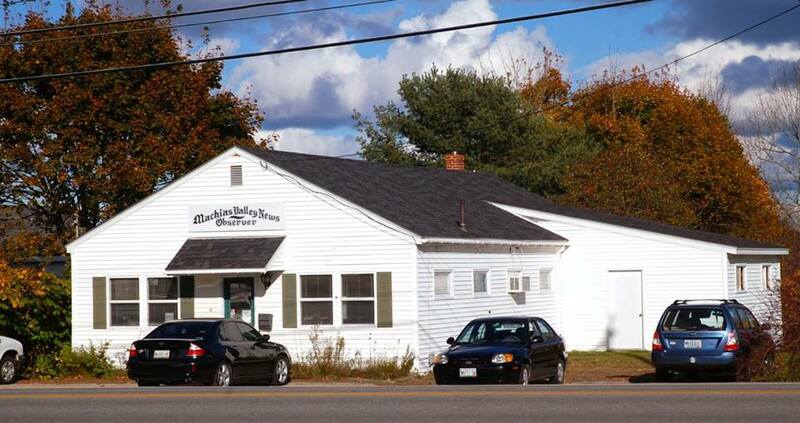 Machias was a two-newspaper town for more than a decade. The News-Observer was printed at 73 Main Street, and the Union-Republican was published on Center Street. Following a devastating fire on Center Street that wiped out the entire block, destroying the printing plant, the two papers merged. Earle Parlin was joined by his son Francis Parlin, self-described as "modest country publishers," in getting out the Machias Valley News Observer. Although the MVNO had an involved and often confusing history, the man who brought it all together was Earle Parlin and his Parlin Printing Co. Francis Parlin took over the paper in the early 1950s and in 1958 the News Observer building was built on Broadway in Machias.